In Cheshire the old saying is "dry in February wet in June" . If this is true we should get some good haymaking weather this June as it has rained for the first 10 days then been dry (ish) and then on the 27th the heavens opened again and the fields are as soaked as ever. 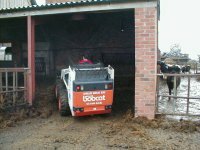 We have had the new shed cleaned out by a Bobcat machine and the heifers seem happier for it as there was nearly 1m of muck in some parts. 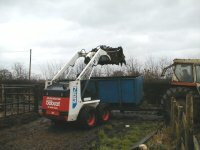 Edwards Bobcat hire took only 3 hours to complete the job and it is all stacked on the yard waiting to be spread. 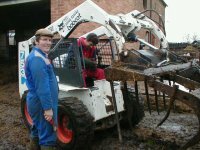 The pictures show Richard Edwards in action with myself carting the muck away. The Winter Barley on the Drive field is looking rather yellow as it is needing both nitrogen and manganese to help it to grow but its too wet to go on the field so I'm hoping for some dry weather! Last night as I was thinking about writing this report we had had no calves this month but this morning there was one stood looking at me when I opened the cubical shed door. Great news it is a black and white heifer breaking our "run" of 7 bulls. She is doing fine and mum also. 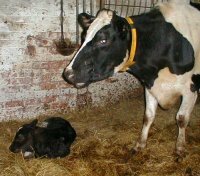 She is our 1st heifer calf this year 1st of the new millennium no less and would be March born but for the leap year. 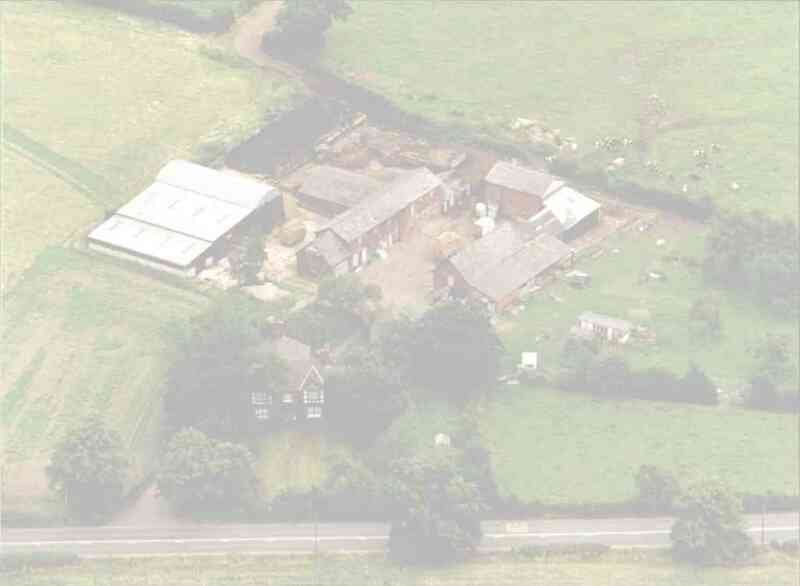 As you may be aware Greenheyes farm participates in conservation program known as the Countryside Stewardship Scheme. Part of our lands which are managed under this scheme are those which are bordered by the River Dane. On the 10th there was a major accident on the M6 motorway near junction 18 at Holmes Chapel. 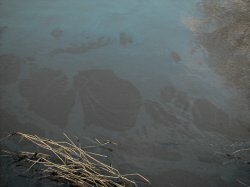 One of the lorries involved rolled off the road and spilled its load of barrels of oil into the River Dane . At the start of the month I added a counter to the site to give me an idea of what interest was being shown in the site, and I have to say that I have been pleasantly surprised. Thank you for visiting and please feel free to contact me with your opinions or if you have a site of similar interest drop me a line and I will put a link to your site on my links page. March beckons and as soon as the rain stops Spring work will begin in earnest.